Probably most well-known for their smash hit “Don’t Give Up”, which garnered much radio airplay during 2012 (on all platforms, but especially on K-Love radio), independent worship/pop/CCM/rock band Calling Glory have been one of my favourite artists of late, with their sound likened to Crowder meets Tenth Avenue North meets Leeland (also vocally sounding eerily like Kutless!). The band recently released their 9 song EP Life And Spirit in 2015, and just this year, their new singles “Child Of Heaven” and “You Keep On”. Now in 2018, “My Redeemer” drops. Though it is not known whether the band will release new albums or EPs in the future, or maybe just singles; I thought “You Keep On” and “Child Of Heaven”, which were both pretty much stock standard CCM and worship respectively, were also thoroughly enjoyable (a view I still adhere to today!). 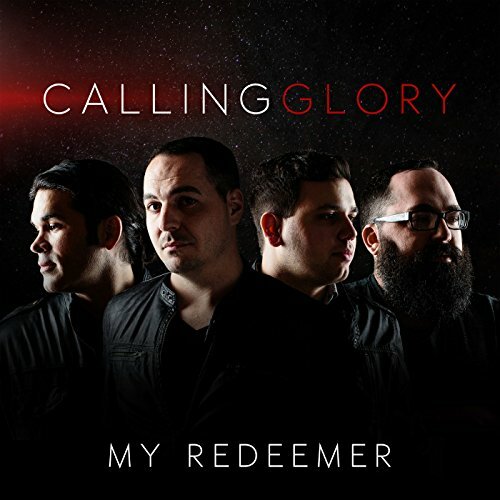 Yet sadly “My Redeemer” is everything that is how not to release a worship song. Unfortunately for the band (which I will still keep supporting! ), there are a few glaring issues I have with “My Redeemer”. I will list a few below, however this is not a Calling Glory bashing session, and hopefully future songs will recapture the reason why I loved their music in the first place. Can we just say that the band probably tried their absolute hardest (or maybe they didn’t!) with this song. Dana Potvin’s goal was more on the lyrics, and trying to bring people to Christ, than the originality of the themes and the music. Intentions are good, and if this was a review about intentions then Calling Glory gets 5/5. But that’s not the whole aspect of a song, and in this case, the music and the recycled themes bring the song down. Literally this song could have been recorded by Kutless and it would sound the same. Put it on Alpha/Omega from Kutless’ new worship album from last year and “My Redeemer” would fit right in. It’s sad when a band sounds like another band (either intentionally or unintentionally) because I know that Calling Glory would never consciously sell out and make music based on what is popular instead of what is in their heart and what God wants them to right. It’s extremely sad that this song was poorly recorded and executed maybe as an afterthought. “My Redeemer” actually put me to sleep a few times, and that is a bad sign. But one song doesn’t make or break a career, and I reckon Calling Glory will be stronger in the end, and release their best material yet in the future. Should people listen to this song knowing that it’s not original at all, or sounds like a carbon copy of anything worshipful that Kutless has recorded? I reckon they should, because at least one person’s life will be changed, and maybe that’s all that matters. Who knows, perhaps this melody, though cliché, will grow on me. then again maybe it won’t. If it does (and that’s a big if! ), that will only be because of the passion of the band and the fact that they are authentic and on fire for Jesus! Now, time to dwell upon how their next album would sound like!